The event will take place Oct. 26 to 28 in San Jose, California. TwitchCon 2018 is coming, scheduled for Oct. 26 to 28 at the San Jose McEnery Convention Center in San Jose, California. 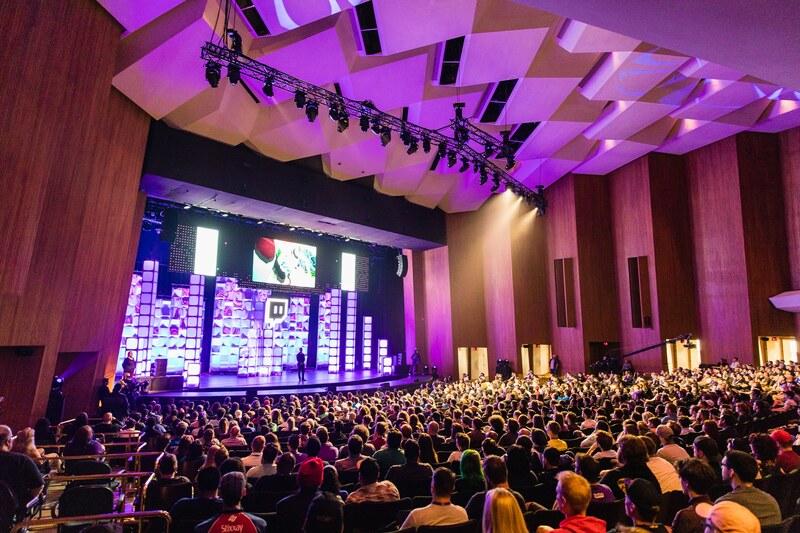 Twitch just announced the exhibitor list, and it’s stacked—including booths and events centered around Fortnite, PlayerUnknown’s Battlegrounds, Call of Duty: Black Ops 4, and Games Done Quick. The Fortnite hall for TwitchCon 2018 will host the Fortnite Fall Skirmish grand finals, where a massive first-place prize will be awarded. The Fortnite hall will also be stuffed with “tons of fun activities” for solos and squads, as well as “frights, delights, and fun surprises.” Bethesda will be on-hand, too, hosting live-streamed events in Fallout 76, The Elder Scrolls Online, and Quake Champions. Some of those non-gaming brands involved include Nerf, which will bring a suite of the latest Nerf equipment, and GUESS?, Inc., the fashion brand. Hershey’s chocolate and Nissin noodles will have snack stations at the event. Other areas of the event include a workshop for up-and-coming streamer education, a charity plaza, and a full theater. More information is available on the TwitchCon website.